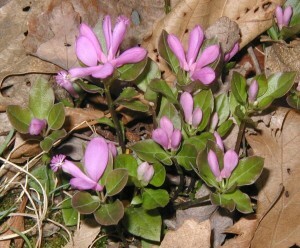 2010 was a nice flowering year for Fringed Polygala, Polygala paucifolia, Gaywings, or Fairywings. 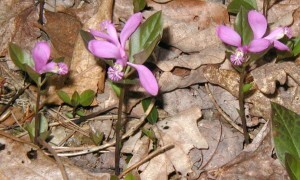 The bright pink blooms were first seen 13 April 2010 and they flowered through the first part of May. 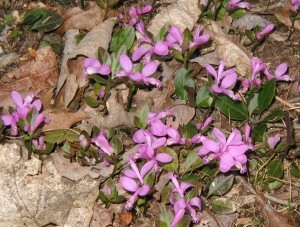 The image below shows the gaywings flowers, but there aren’t as many open flowers and the ones that are open are faded and drying out. One good rain and they’re done for the year. Faded flowers of Fringed Polygala, aka Gaywings. 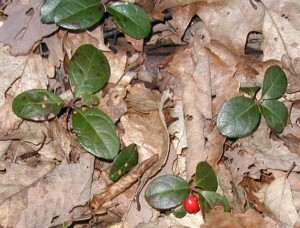 In the image above there is a lot of new growth as evidenced by the light green leaves. 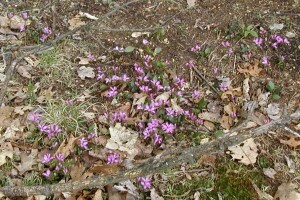 Note the darker older leaves that are slightly larger in the center of the photo, taken 6 May 2010. 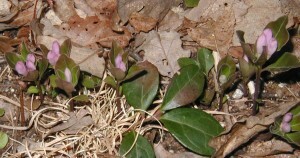 Some of the plants that flowered early in the group already have their small flat seed pod developing. The seedpod will get a little bigger before it disappears. 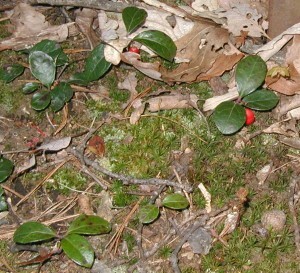 Perhaps the connection that holds the seed to the plant will break off and let the seed roll to a new location. Maybe a critter will come by and eat it. Who knows? 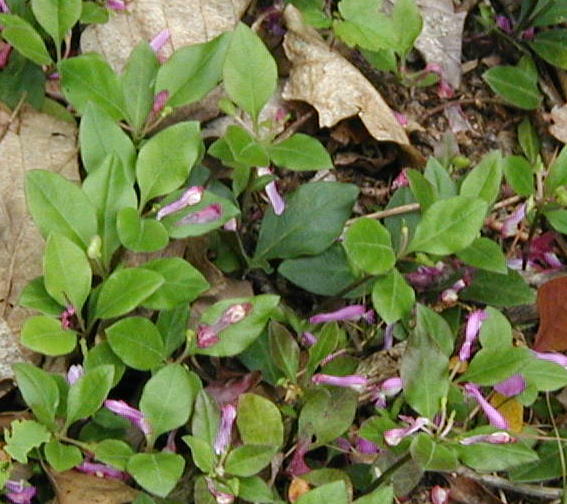 Polygala spreads primarily by underground runners and grows in forests in the Eastern U.S.. 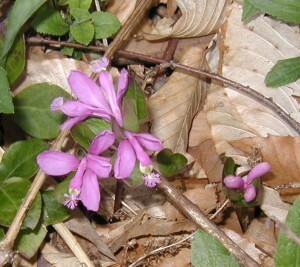 The blooming period for fringed polygala was about three weeks long for 2010.